Welcome to Phantom Cars Hire, we are a luxury car hire company based in the Midlands and pride ourselves in providing first service throughout the UK. We aim to offer a service of refinement, assistance, reliability, discretion and above all safety. Our fleet of Rolls Royce Phantom cars are available chauffeur driven. Each service is available seven days a week to anywhere in the UK. The Rolls Royce Phantom is extremely popular for special occasions such as weddings, milestone birthdays, business events and special airport transfers. These vehicles really do make a statement on arrival and are stylish luxurious vehicles to hire. Our chauffeurs are hand picked, highly qualified and perfectly trained in the chauffeuring industry. We supply the highest quality of chauffeur service to ensure an enjoyable and extremely relaxing journey for both you and your guests. Phantom Cars Hire recognises the importance of providing a first class and professional service regardless of the occasion. Our chauffeurs are always smartly dressed in a suit, shirt and tie. They are always punctual and will endeavour to arrive to collect your customers 15 minutes prior to collection time. Our chauffeurs have even been provided additional training for wedding car hire. 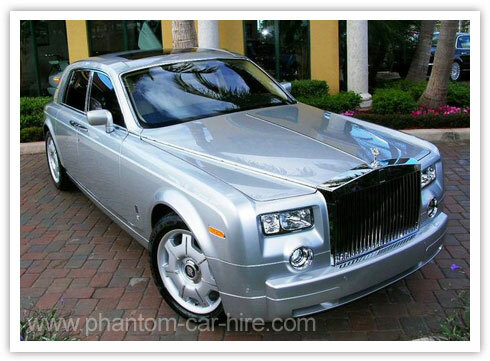 The Rolls Royce Phantom is a popular wedding car due to its sleek, stylish, safe and excellence engineering. Whatever your occasion, our team at Phantom Cars Hire endeavour to help you create an itinerary to suit your needs whilst guarantying to drive you in elegance and style. We strive to meet customers’ expectations with both the quality of our cars and with exceptional customer care. Our immaculately presented vehicles are maintained to the highest quality and ooze with extravagance. Although we specialise in the Rolls Royce we do provide other luxury vehicles for car hire. 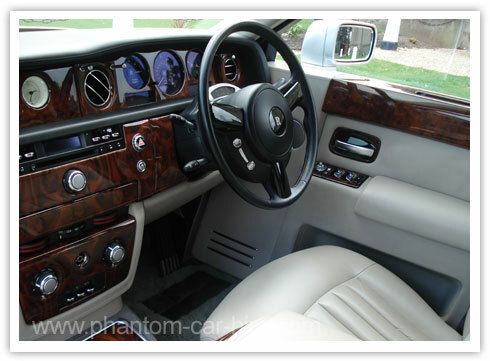 So hurry and contact a member of the Phantom Cars Hire team to find out more. We are confident we will make your occasion extra special as you travel to your destination in style and luxury with Phantom Cars Hire. We offer our service in all major cities London, Birmingham, Manchester, Leeds, Nottingham, and we cover all Airports.